Following in the footsteps of fellow comedians Louis C.K. and Jim Gaffigan, “Parks and Recreation” star Aziz Ansari has begun offering his jokes directly to his fans via his website. 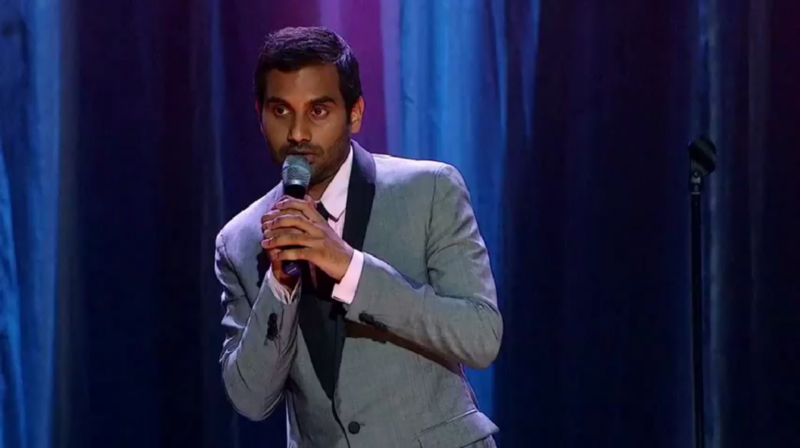 Dubbed “Dangerously Delicious,” Ansari’s comedy special costs $5, and users can download it “a few times,” says Ansari on Twitter. Like C.K. and Gaffigan’s specials, “Dangerously Delicious” was entirely self-produced, and all proceeds from sales go directly to the comedian — not to a corporation. Ansari says the direct-distribution model will allow “Dangerously Delicious” to be entirely “uncut” and “uncesored” — something that might not be the case were he to have picked a more traditional distribution model. He also assures fans that the jokes in “Dangerously Delicious” are “totally different” than those he will tell during his upcoming Buried Alive tour. The growing movement in comedy toward direct distribution over the Web is a direct result of the overwhelming success of Louis C.K.’s experiment, which saw more than 220,000 people download his special, “Live at the Beacon Theater,” bringing in more than $1.1 million. Gaffigan was the next to jump into the game, with his special “Jim Gaffigan: Mr. Universe,” set to go on sale on his site next month. As we have mentioned before, we have high hopes for direct Web distribution. By leaving Big Entertainment out of the profit pool, these comedians take control from the very people who brought us monstrous bills like the Stop Online Piracy Act and the PROTECT IP Act. We would all be wise to support these endeavors whenever possible, if for no other reason than to tip the scales a bit back in our favor.